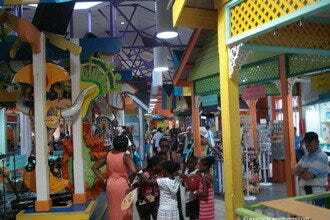 Most people equate the shopping scene in Nassau and sister island Paradise Island to the plethora of name-brand duty-free shops selling perfume, liquor, cigars, electronics and especially jewelry. It is true you can save around 40 percent on such luxury items, but not as much as in some other Caribbean destinations. 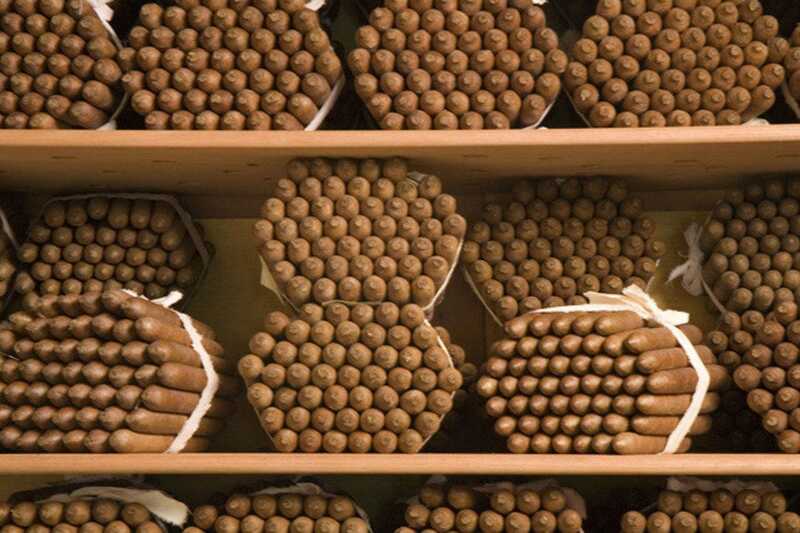 Check customs limitations and do not plan on bringing any Cuban cigars back to the United States. They are considered contraband. 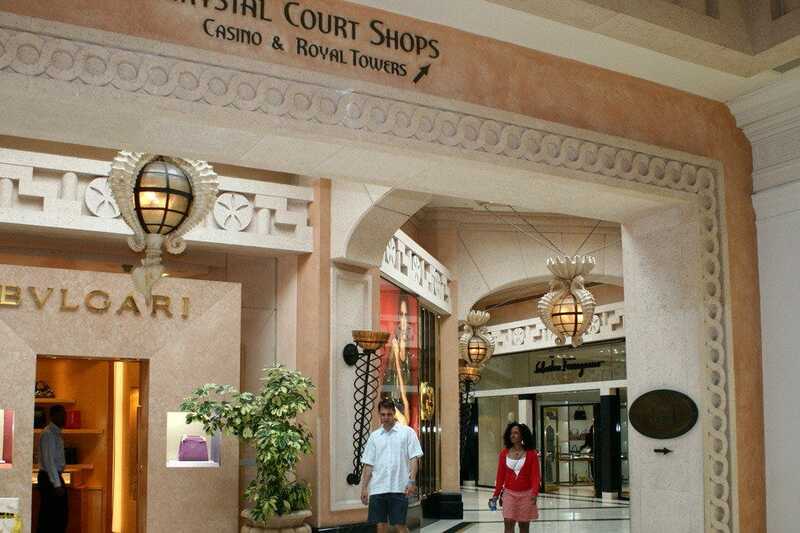 The duty-free shops abound on and around downtown Nassau's Bay Street shopping area and also at the Atlantis resort on Paradise Island. The completion of the BahaMar resort development in Cable Beach come December 2014 will bring yet another crop of retail options. 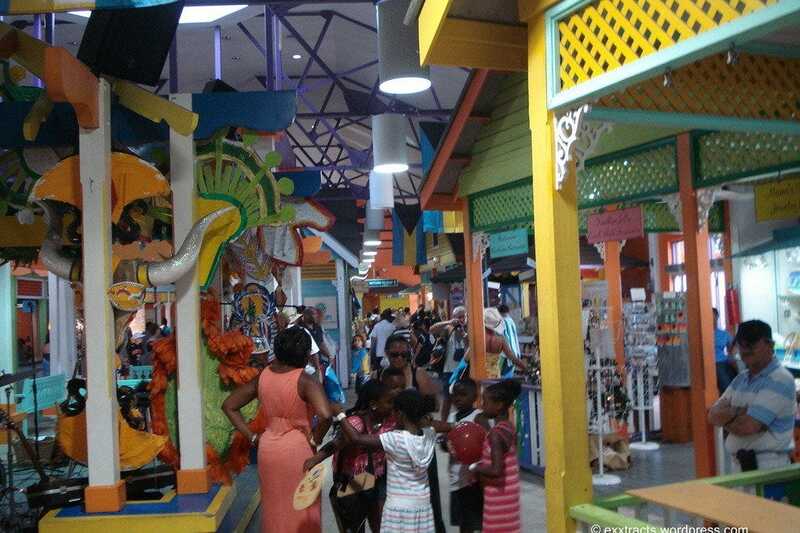 Aside from duty-free goods, shoppers looking for truly authentic souvenirs of the Bahamas can find them in art galleries, craft shops and markets and specialty stores interspersed throughout the twin islands of New Providence and Paradise. Don't miss Doongalik Studios on downtown's outskirts and The Plait Lady at Atlantis resort's Marina Village. 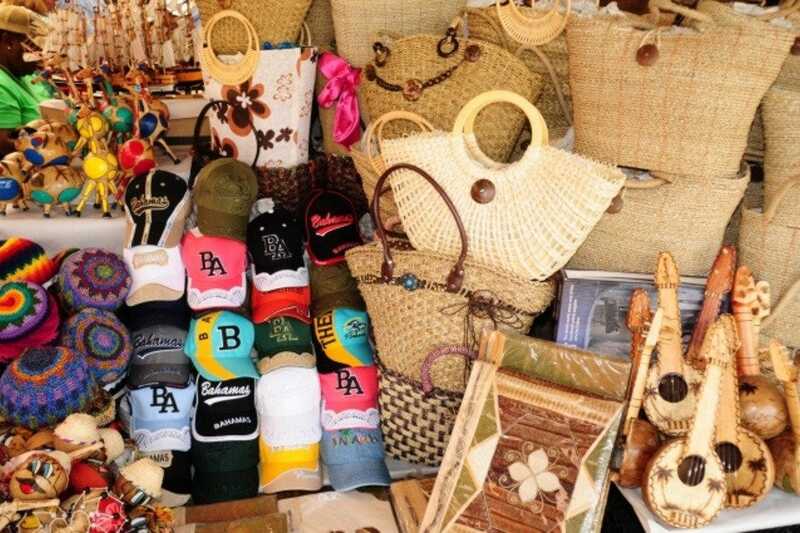 If you do, rest assured that you will find plenty of local products - along with duty-free items and generic tropical souvenirs – to choose from at the airport, although you must expect to pay higher prices. Only steps from the cruise ship port, the Bay Street Straw Market has been a Nassau tradition since the 1940s. The original straw market comprised a block's worth of vendors under one roof; it burned down in 2001. In 2011, a sturdy, concrete, two-story building replaced a temporary tent structure. The new market, although not as locally colorful as the one that burned down, provides a more comfortable, air-conditioned setting. With the new building came new standards for artisan wares, but you still find mostly cheap jewelry and T-shirts imported from Taiwan, knock-off designer bags and other trinkets that have nothing to do with hand-crafting in the Bahamas. As in most island markets, the vendors expect you to bargain with them on prices. Besides 400-some vendors the new straw market also has a stage for live entertainment. 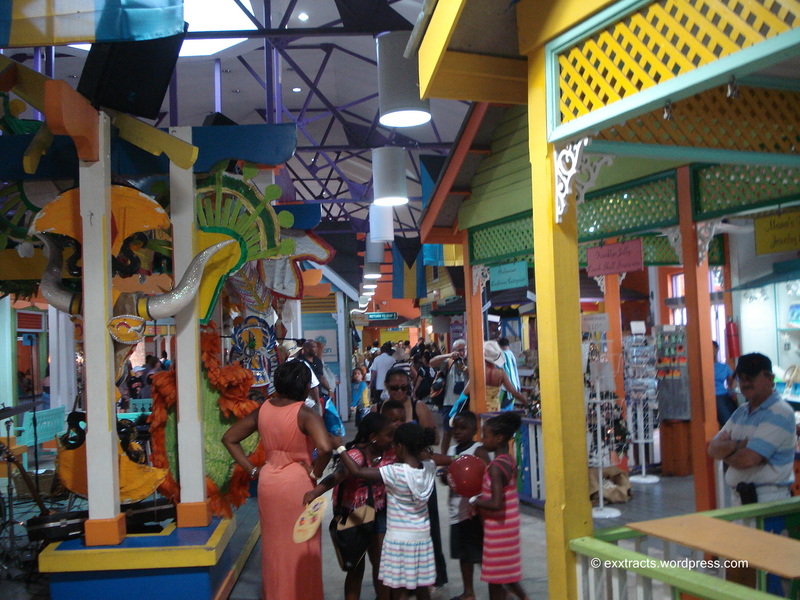 Opened in 2005, this 65,000 square foot shopping and dining complex is reminiscent of a Caribbean open-air marketplace, with palm trees, colorful architecture (designed by Doongalik's Jackson Burnside) and a lively atmosphere enhanced with regular performances by local musicians. Among its 21 shops are high end boutiques such as Carlo Milano, Colombian Emeralds International, Leather Gallery and La Perfumerie. 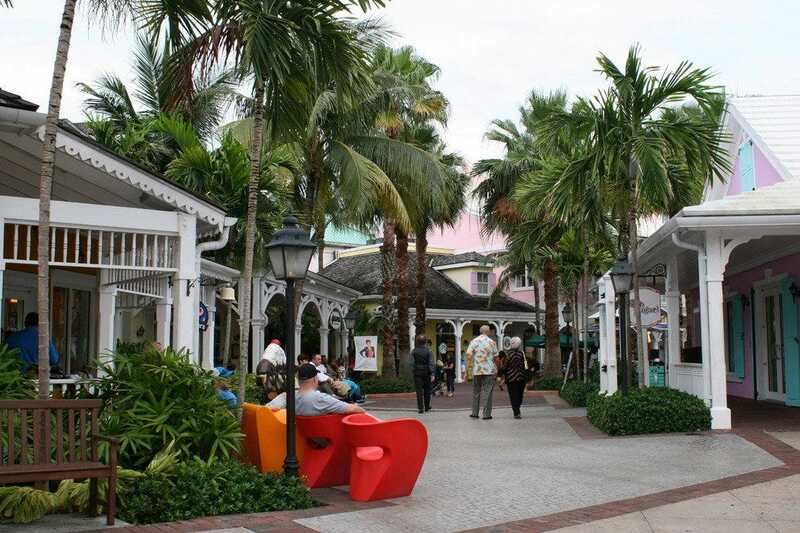 Five restaurants and numerous snack shops and carts offer a wide variety of refueling options, from the upscale Cafe Martinique and Seafire Steakhouse to Starbuck's and Ben & Jerry's. Local arts and crafts are available from a variety of art galleries and kiosks. This is the unmissable orange, yellow and white building at the entrance to the cruise ship port. The main tourism office and a post office are conveniently situated here, along with a plethora of colorful local arts, crafts, gifts and edibles. Its close proximity to the cruise ship docks, however, means prices are scaled accordingly, i.e. high! The finest local artists and crafts people keep booths here, making it a great destination if you are searching for special mementos of your trip. Live Junkanoo musicians lend an even more festive air on certain days, usually when cruise ships are in. They interact with shoppers and provide photo opportunities. The new departures terminal at Lynden Pindling International Airport offers some great last minute opportunities to buy authentic souvenirs at a number of shops. Another Graycliff retail space sells cigars, wine, rum, chocolate and related gifts. It has a smoking lounge where you can enjoy those cigars and an outdoor sunning deck, from where you can order a sandwich and cocktail. There's also a nonsmoking lounge. 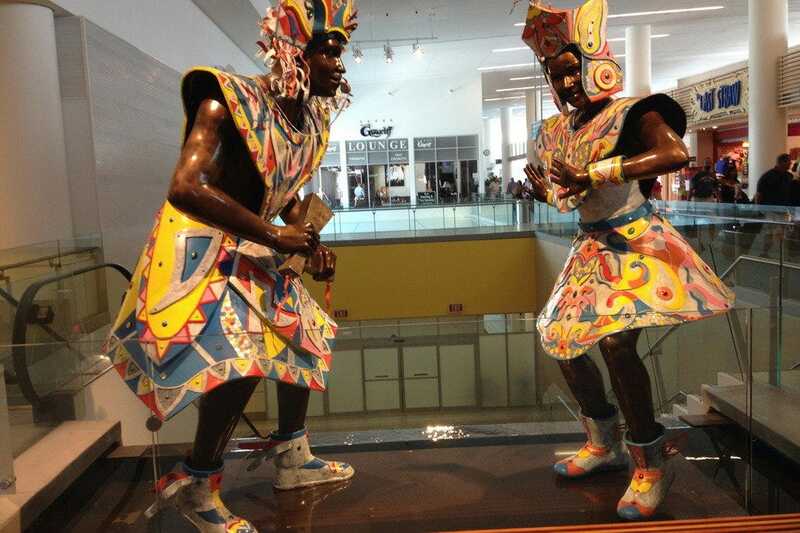 Stunning Bahamian art decorates the terminal, plus there's a play space for kids. For genuine Bahamian souvenirs such as locally made rum cakes and hot sauces, ceramics handmade on Abaco Island, straw work and Junkanoo dolls – check out The Last Straw, Uniquely Bahamian and My Ocean. 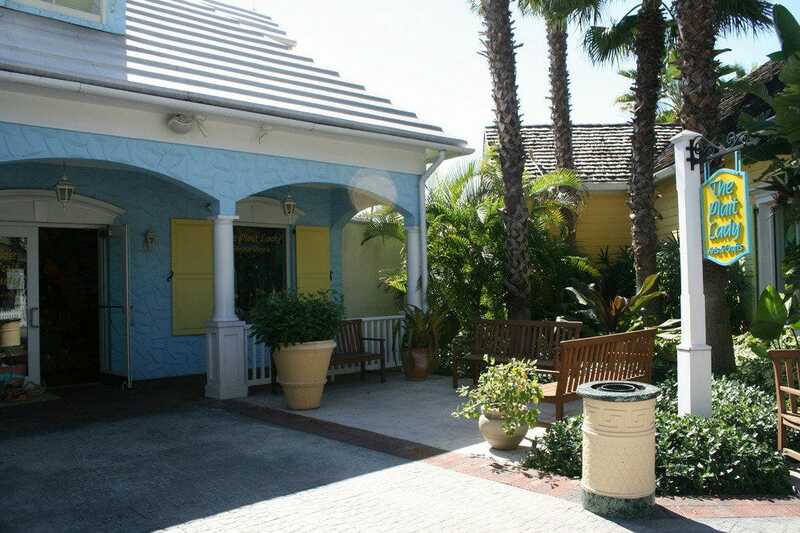 Graycliff, a short uphill walk from Bay Street, has been the first name in lodging and dining in Nassau since 1973. In 1977, it added a hand-rolled cigar factory to its operations that deal in the finer things in life. In 2012, owners opened a chocolate factory. 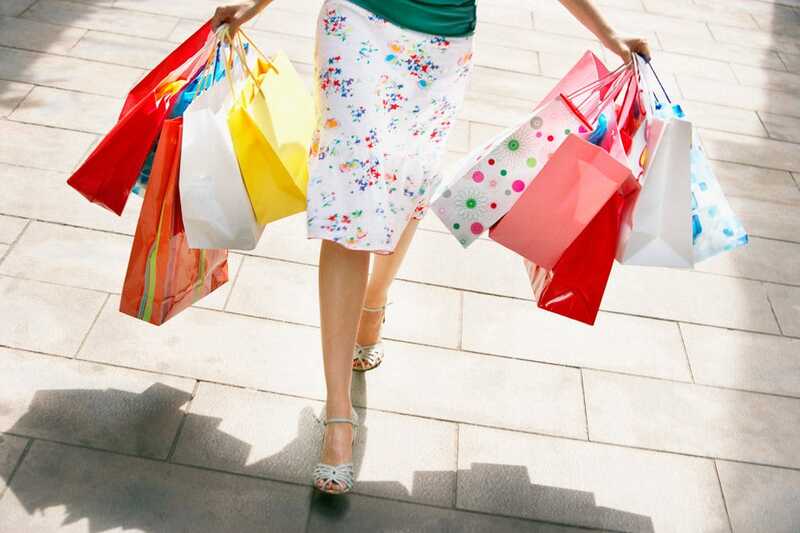 Shopping at Graycliff becomes an immersive experience. You can do a tour of the factories and even sit in on chocolate- and cigar-making experiences. In the chocolate factory's shop, buy bars of tobacco chocolate (much better than it sounds), chocolate tea, chocolate shaped like cigars, and bonbons in flavors such as Nutella, mint, brandy cherry and chai tea. Next door at the cigar factory, you have your choice of fine smokes. You can also buy chocolates, cigars, Graycliff Coffee and other fine gifts in the Heritage Shoppe across the street. Plans are to turn the surrounding historic ruins into an artisan's village. Fact #1: The downtown Nassau Straw Market carries very little Bahamian straw work. Fact #2: The real stuff is created mostly on Out Islands such as Long and Andros Island. Hand craftsmen dry, strip, plait and sew together strips made from the silver palm fronds. They have developed more than 150 patterns they fashion into bags, place mats and baskets. So, the moral of the story: If you're looking for handmade work, skip the imports at the Straw Market and head to this shop in Atlantis' Marina Village. Besides beautiful hand-plaited works, you will find beautiful pink ornaments and serving bowls and spoons carved from the inside of conch shells. When you enter the doors of this cut limestone building, you are entering over 200 years of history and a store truly telling of local culture and history. Coin of the Realm is one of few local shops that sells jewelry made with conch pearls, which range from deep pink to light brown in color. The local conch fishermen provide the pearls that they find in only one out of every 10,000 conchs they capture. 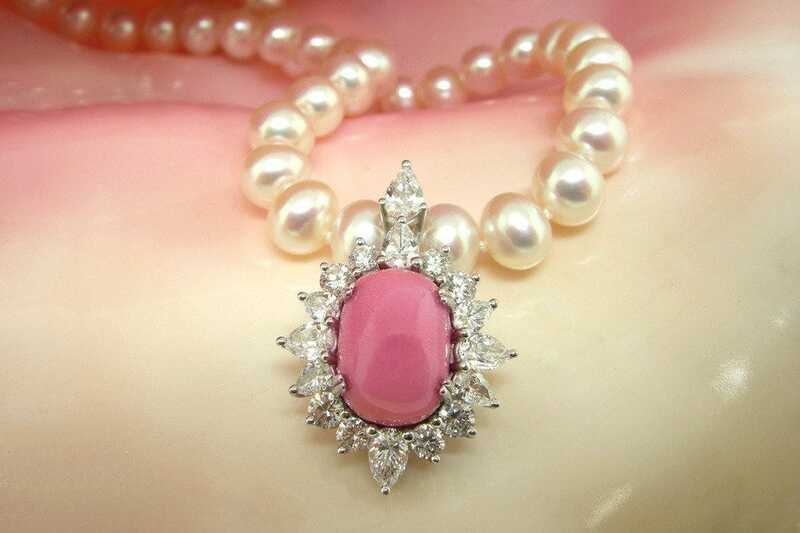 The conch pearl cannot be cultured, meaning you will pay five figures for that flamingo pin or conch pendant set. Enamel Bahamian coin pendants and cuff links make more affordable gifts. The 37-year-old shop sells clever interchangeable necklaces that the pendants snap into. Interchangeable rings are also available. As the name suggests, it also specializes in jewelry made from ancient coins and gold Bahamian coins, plus a wide inventory of other pieces. 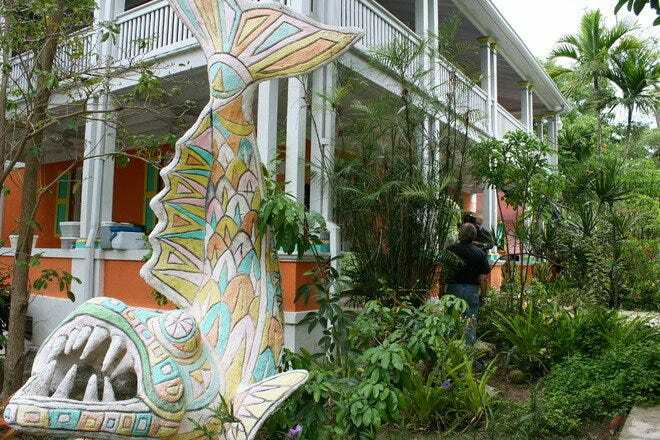 Away from the Bay Street throngs, but worth the taxi fare if you are looking for authentic arts and crafts, Doogalik Studios was created by the late great master of Junkanoo art, Jackson Burnside and wife Pam, to promote local culture, art and heritage. The restored historic home displays the work of 40 Bahamian artists and is the centerpiece of three shops including the Craft Cottage – filled with local talent – and the studio of K. Smith. Browse through fine paintings and sculpture, recycled coconut sculptures, exquisite straw bags that have made the O list, masks, goat skin drums, jewelry, home decor items and and an amazing selection of resourceful, creative works made from repurposed items. Saturday brings a farmers market.